Pinballeric.com the place to find all kinds of additional information about pinball. The site is organized in a logical way to easily find current useful information about pinball. The Pinball Price Guide is now available! The Pinball Price Guide, Ninth Edition by Pinballeric™ is the ideal reference for anyone—collector, buyer, or seller—trying to determine the current value and fair price of a pinball machine. 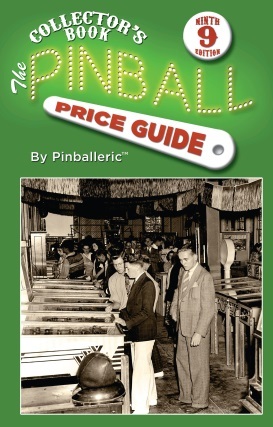 Click here to purchase your copy of The Pinball Price Guide.